An iconic riverside bar with an art deco aesthetic and al fresco dining. When you fancy a mini vacation to the Amalfi Coast, make tracks to the Raffles Hotel, which has been watering workers in Applecross since 1896 (and wearing its iconic art deco facade since 1937). 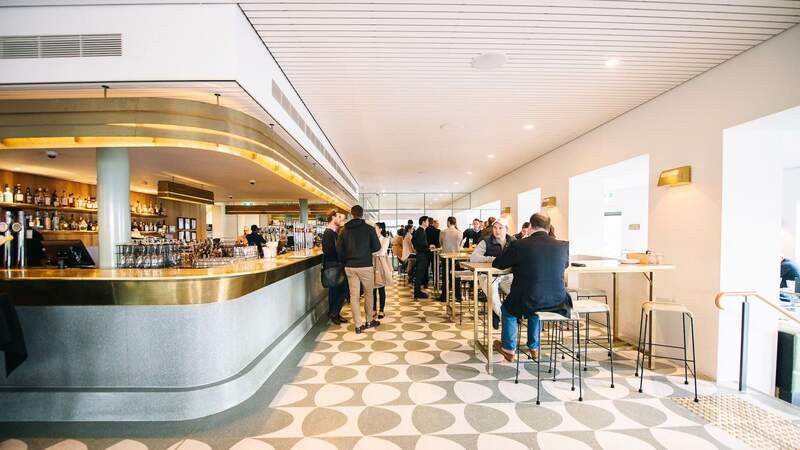 Here, you can sink into views of Swan River while enjoying a moreish modern Italian menu. The al fresco dining, riverside vista and gold-accented fit-out will make you feel like you're on the top deck of a luxury ocean liner. Downstairs, you'll find a roomy beer garden canopied by expansive umbrellas and dotted with oversized planters, while upstairs boasts uninterrupted water views. Wherever you choose to while away the day, be sure to sample the handmade pasta. We suggest the prawn tortellini with garlic, chilli, lemon, parsley and prawn oil ($32). If you're vegetarian, go for the rigatoni with eggplant, field mushrooms, house-dried tomato, garlic, chilli and pecorino ($28). Also outstanding are the pizzas — which just so happen to be half price on Wednesdays — and the charcoal-grilled steaks. There's always something to keep you entertained, from the Oyster Frenzy — that's unlimited oysters, seafood canapes, beer, wine and bubbles for a whole two hours — to the monthly Flashback Fridays dance parties. On every Friday there's happy hour from 5–6pm, with half-price wine, beer and spirits.